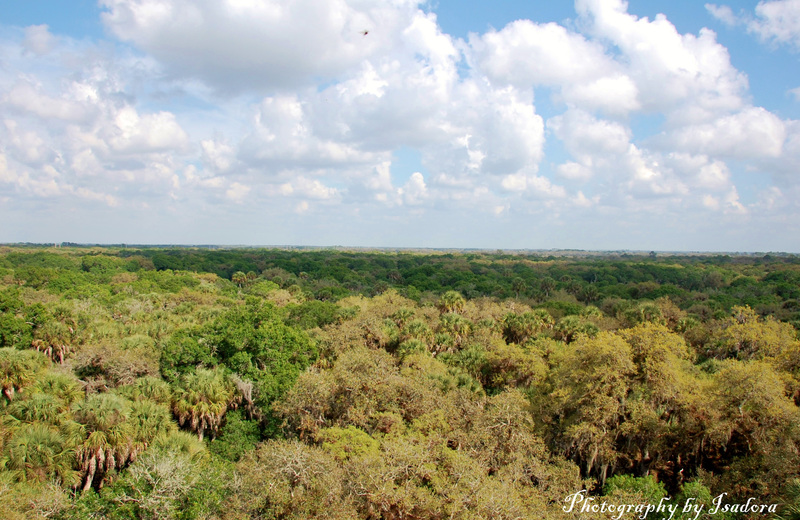 This photo is an aerial view of tree tops taken while high above in the Canopy Tower. 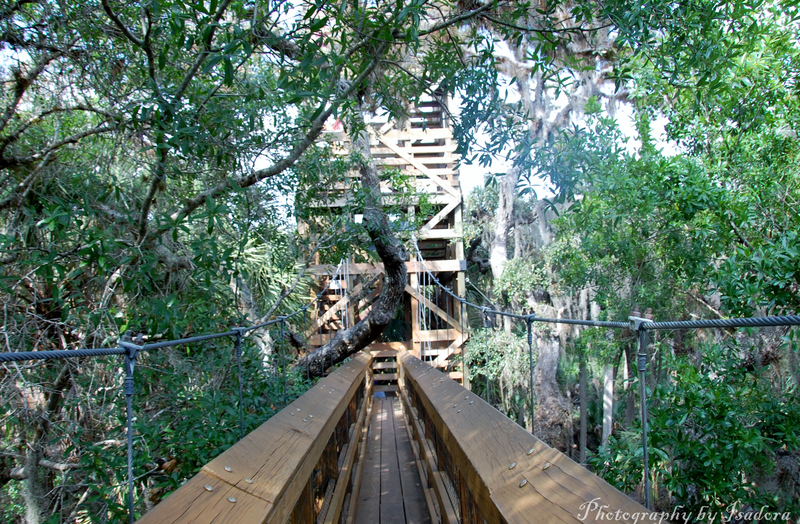 The Myakka Canopy Walkway was the inspiration of canopy scientist Dr. Margaret Lowman. After spending a couple of decades devising methods to study treetops in the forests of other continents, Dr. Lowman settled in as the director of Sarasota’s Marie Selby’s Botanical Garden. Though, her experience was with tropical ecosystems, she realized that Florida’s forests were imperil as many of the legendary rain forests. 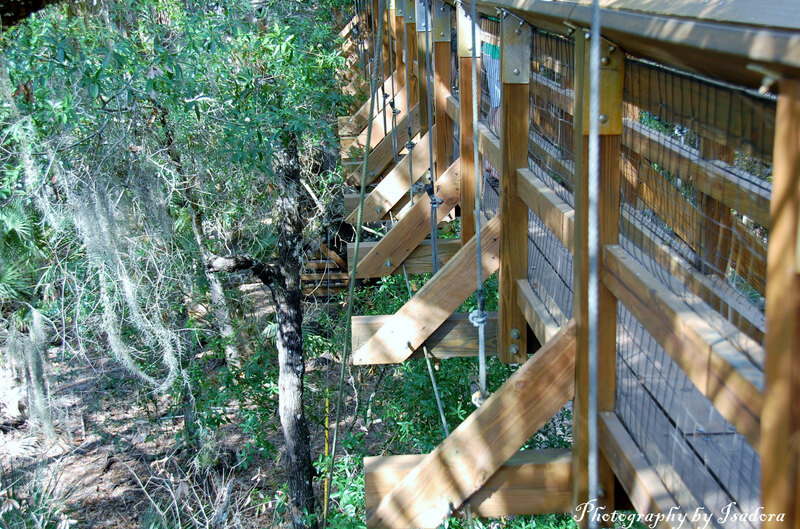 The walkway is suspended 25 feet above the ground and extends 100 feet through the hammock canopy. 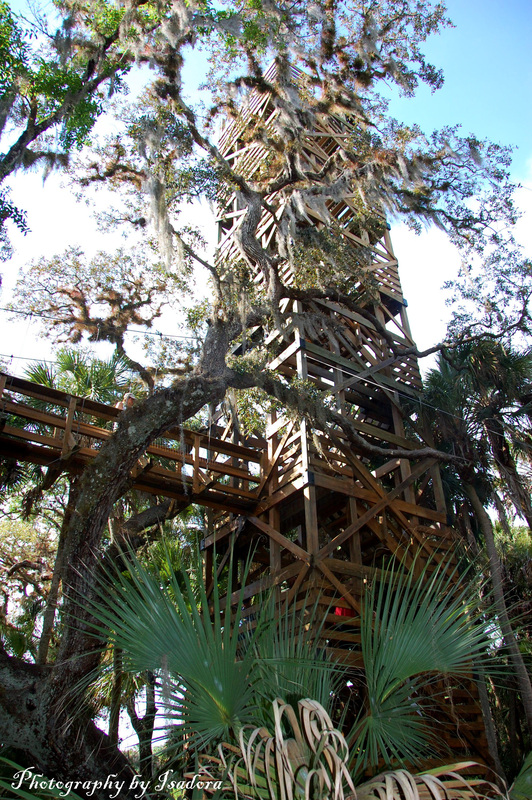 A tower soars 74 feet in the air to present a spectacular view of treetops, wetlands and the prairie/hammock interface. You can look down on eagles, hawks, vultures and the tops of live oaks and palm trees. Who built the Canopy Walkway? 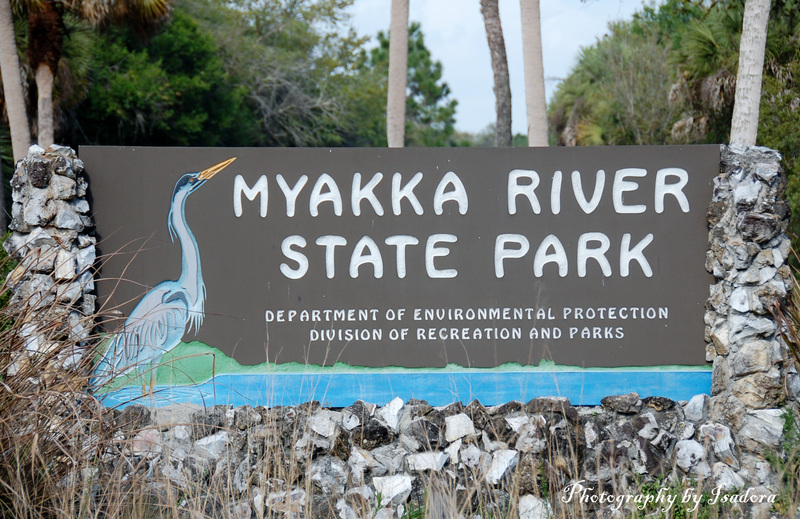 Myakka River State Park is one of Florida’s oldest and largest state parks. 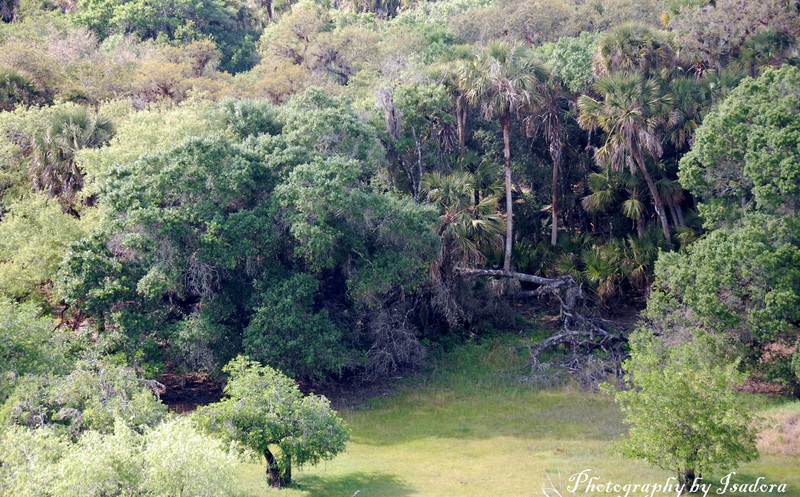 The “Florida Wild and Scenic Myakka River” flows through 57 square miles of wetlands, prairies and woodlands. 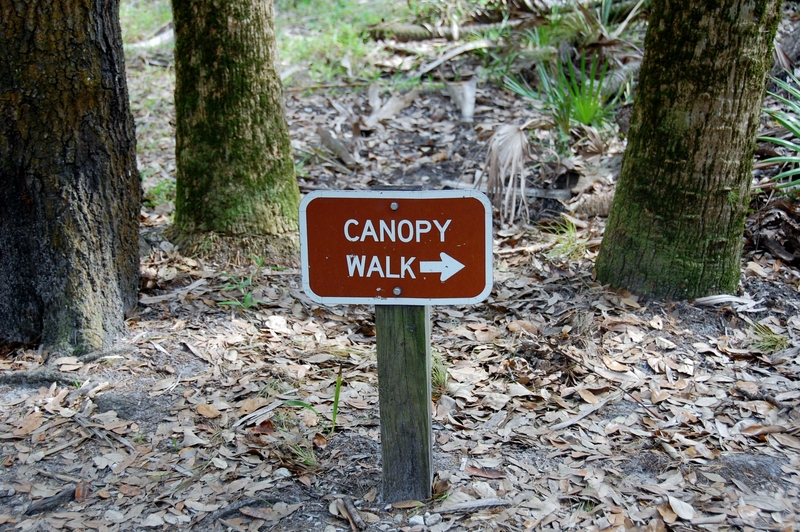 Myakka is popular for hiking, fishing, camping, and wildlife observation. 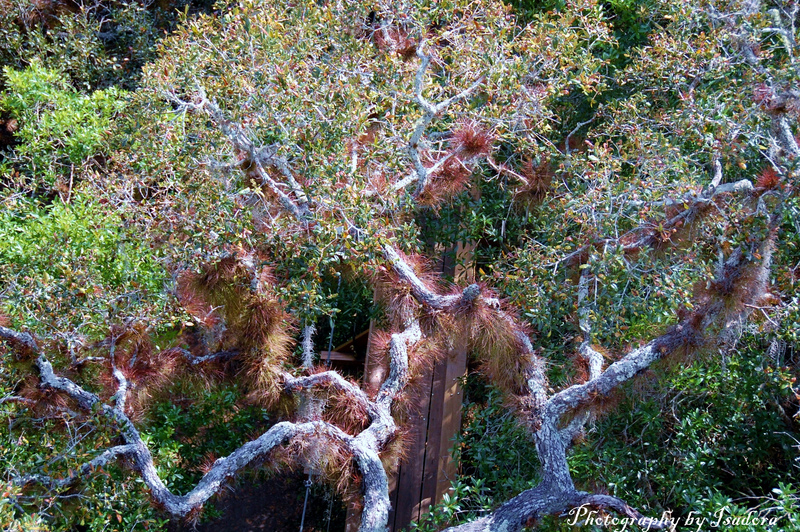 All photos were taken at the Myakka River State Park in Sarasota, Florida. Your welcome, Jake … keep those challenges coming. They make us think. The structures built up and through this dense canopy were just amazing. You live in a magical place. from where I live and, yet, is full of nature. I am very fortunate. Thanks, Lorna …..
Wow its amazing, I’ve been on a canopy walk in Ghana but it was ropes and planks of wood that swayed as you walked – not for the faint hearted! I would love to walk that one in Ghana, Gilly, but I’m sure it’s quite rustic. This bridge did sway but felt quite sturdy. The wind as you went further up increased which was shocking. I never would have expected that. It is a wonderful state park. I will have to return for a picnic and go canoeing so that I can get even closer to nature. I’m glad you enjoyed the little trip I experienced on a very peaceful Sunday.